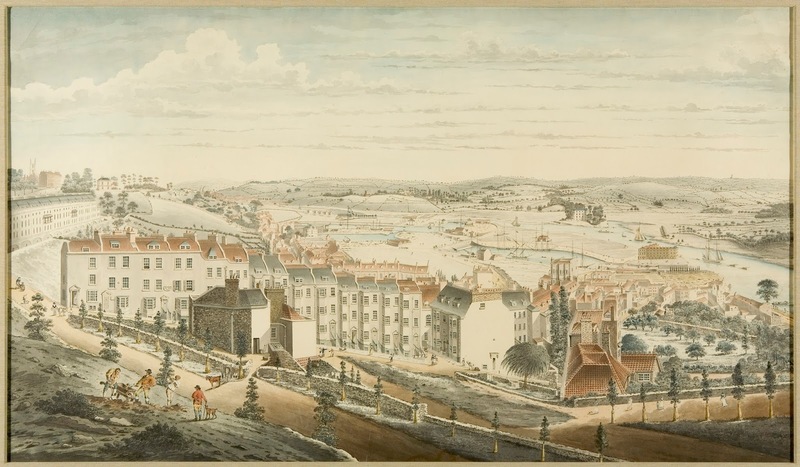 The Art Gallery already possesses a drawing by William Booth of this area of Bristol dated 1822 (see image below) but now there is an opportunity to purchase a preparatory drawing by the same artist dated 1817, which is on a larger scale and gives greater detail of the area. (An image of this is not yet available because it is rather dark and will probably need some conservation work done on it). The Committee has agreed to fund purchase of this earlier drawing at a cost of £2,000. Click on this image to enlarge it. It is a large drawing and more than fills the screen, but you can view big parts of it at a time using the mouse (or your laptop pad) and side and bottom bars to navigate around the picture. The detail is stunning.